How Often Should I Revisit My SEO Strategy? Many savvy marketers know that SEO is not a one-time service and should be an ongoing marketing strategy. Why? Moz reports that Google makes over 500 tweaks to its algorithm every year--that's more than one per day! As you can imagine, all these changes can have an impact on your ranking. So, keeping up with the changes and modifying your SEO strategy is definitely important. But while most marketers know they need to constantly monitor and tweak the SEO elements of their website, the question of "how often" is oftentimes a puzzling one. Throughout this blog post, I will talk about the different elements of on-page and off-page SEO and how often each of these should be revisited in order to avoid the effects of an algorithm change. Some of these elements include keyword strategy, content creation, local citations, organic SEO, and social interaction. As your business evolves, so will your online presence. Over time, keyword phrases being searched for can change, with new words entering the vocabulary and older ones getting dropped. It doesn't matter if you are ranking well, if no one is searching for a keyword you're ranking for, you're not going to have any website visitors! When doing the initial keyword strategy, keep track of the average monthly searches. You can do this by researching your keywords via Google’s Keyword Planner or HubSpot’s Keyword Tool. By keeping track of these initial values, you can go back at a later date and check to make sure the keyword is still relevant and being searched by the change in average search volume. According to Jonny Ross Consultancy and other industry experts, it's recommended you revisit your keyword strategy on a quarterly basis and at least 3 - 6 months before any campaign or promotions. From an SEO point of view, it's important to start looking at search terms early in the game to make sure you gain maximum impact. Title tags define the title of a page or a document. They are used in search engine results to display a preview title for a given page. They are also one of the key factors of On Page SEO, so it's very important to ensure that they include your target keywords. Meta descriptions are HTML attributes that provide concise explanations of the contents of a webpage. They are also used in search engine results to display a preview of a page. While they don't impact search ranking directly, they play a role in providing an explanation of your webpage to a prospective visitor. You'll want to adjust your target keywords in these elements as your rankings fluctuate. As mentioned before, it's best to keep an eye on how your webpages are ranking for your target keywords and adjusting title tags and meta data on pages accordingly to include or exclude these keywords. Keep in mind that sometimes with certain Google algorithm updates or other modifications within Google come specific changes to the way Google would like you to create your title tags and meta descriptions. On their own help docs, Google provides you great tips on how to create the perfect title tags and description. For now, it's best to keep title tags under 65 characters and have it include one target keyword for the page. Meta descriptions are similar-- one target keyword, but keep the length under 160 characters. Generally, there are two instances where you would want to revisit your title tags and meta descriptions. The first reason is if you have heard of a new Google Algorithm update and you think you might be in danger of losing ranking due to not following Google’s guidelines. To find out when these updates take place, read some of the industry leading SEO blogs, such as Moz, Search Engine Land, and HubSpot. These blogs will usually announce an update right when it happens. The second time you would need to update your title tags and meta descriptions is if you have just updated your keyword strategy. These elements should strongly reflect your keyword strategy, so if you have changed any of these keywords, then it is also time to revisit to ensure they align properly. Most marketers know about the importance of creating new quality content, but what some people don’t know is that it is equally important to refresh old content. 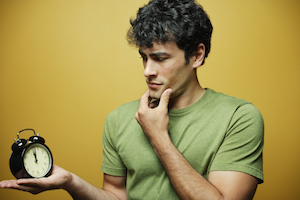 The big question here is how do I know it is time to refresh your content? The answer: measure the clicks to the particular page. There are a couple ways to measure the effectiveness of content in a blog post or site page, but I believe the most effective is by tracking visits to a page. HubSpot allows you to understand where the visits are coming from and how often. If particular content is getting a lot of visits, it probably means the content probably well-received and does not need refreshing. However, if you see the number of visits decreasing overtime, it's probably time for that content to get a new look. So what can you do to refresh the content? Consider updating the title tag or meta data or even promoting the piece via social media again (to get more visits or backlinks). You can also link to it in future content pieces or send out an email to your content subscribers to give it another go. When it comes to measuring visits, this should be an ongoing, weekly process. HubSpot allows you to track the number of visits around a publish date, all the way to a few months later. If you are diligent and keep an eye on these numbers, you will get a sense of when it is time to refresh a piece of content. I generally give a piece 3-4 months before deciding whether to refresh it or not. Off-page SEO refers to the other techniques (besides on-page tactics) that can be used to improve the position of a website in search engine results. Many people associate off-page with just organic link building, but it is so much more. In general, it has to do with organic and local link building, as well as social promotion. Google looks into your off-page strategy to determine whether or not your site is legitimate and if you have high authority in your industry. Although social media does not directly affect your rankings, it can influence new visitors to your site, as well as promote other websites to link back to your quality content (thus helping your rankings in the long run). Because of this indirect effect, it's very important that you know how to measure the effectiveness of your social media campaign, as well as knowing how often you should refresh your strategy. Statistics are important for backing up your strategy. HubSpot has a social monitoring and publishing tool that keeps track of all of your social posts on different platforms. It also keeps track of how much interaction your posts and profiles get. Generally, you'll want to keep track of how your profiles are growing (followers, fans, etc.) and their respective interactions (clicks, likes, retweets, etc.) These should always track back to your marketing goals to ensure your social strategy is contributing to the bottom line. Just like measuring content activity, measuring social interaction is definitely an ongoing process. Every time you post something on one of your social profiles, take a look at how all of your others published posts have done. I recommend revisiting your social posting weekly to see if it's helping contribute to your website traffic. As this is an indirect way of driving visitors to your site, you'll want to monitor its effectiveness on a weekly basis to ensure it's helping you achieve the results you're looking for. Local SEO involves optimizing local listings with your business information. It's important to remember that your contact information should be the same across all optimized profiles. This means going to site like Yelp, Yellow pages, and other local listing sites and make sure the information matches exactly with your social profiles, especially Google and Bing Places. Additionally, it is a good idea to add more local listings each month to improve your local rankings. While there are a number of metrics you could look at across several platforms, I would suggest investing in a tool like Bright Local. It will allow you to analyze your local listing profiles. Bright Local will not only tell you if any of your listings are inconsistent, so you can fix them to have them match across all fronts, but it will tell you if there are any listings that you do not have that would help your rankings. According to Search Engine Watch, the biggest impact on local SEO is making sure you are managing your local listings each month. Go through Bright Local and try and keep a list of listings you have obtained and go back to ensure they were all implemented correctly, have not been changed, and there are not duplicates of one another. With inbound links, it's important to go over your link profile to see which links are good for your site and which are considered spam. If some of those backlinks are spammy, it's important to get them removed by contacting the webmaster and asking for removal of that link. In addition to removing bad links, it is also important that you gain new links through the creation linkable assets. There are many tools out there that will help you decipher all of your links and whether they are spammy or not. My suggestion would be to use HubSpot's link tracker or Link Research Tools. It will run reports that tell you all of your backlinks, as well as which backlinks your competitors have that you would be wise to acquire. The practice of acquiring and maintaing inbound links has changed drastically just in the past 3-5 years. It is becoming much harder and with each update, it looks like it'll only get more difficult to acquire quality, inbound links from other domains. As with most aspects of SEO, especially content creation, it is important to stay ahead of times by following industry leaders. I recommend you keep on top of search engine algorithm updates and also frequently monitor the quality of your inbound links--working to remove spammy ones and pushing to acquire opportunistic ones. You must always remember that SEO can be an uphill battle, but if you stay on top of the updates and always make sure you are revisiting your content and backlinks, you will surely succeed with your campaign. While all these tips won't work exactly the same for everyone, I hope they provide some direction to how often you should monitor and adjust your SEO strategy.